I am a Post-Doctoral researcher at the University of Adelaide with particular interests in evolution and adaptation. My current research involves using large population genomic datasets to investigate questions around local adaptation in Australian plants. 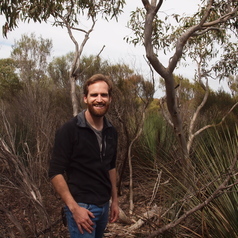 I completed my PhD at the University of Adelaide under Professor Andrew Lowe, where I used genomic data to investigate micro-evolutionary patterns in the native hopbush, Dodonaea viscosa. I have a passion for science, for furthering our understanding of the biological world around us, and for education in science. Prior to my PhD, I was a high school science teacher in the UK, where I hoped to inspire the next generation of scientists, or at least help to develop basic skills in critical thinking, the evaluation of evidence, and problem solving. University of Adelaide, Australia, PhD. University of Bristol, UK, BSc Biology Hons.